The Best Air Conditioning Services Fredericksburg, VA | Robert B. Payne, Inc. When the mercury starts to rise, the last thing you want is for your air conditioning unit to be failing. 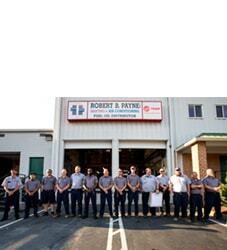 Our team at Robert B. Payne, Inc., offers a range of air conditioner services in Fredericksburg, VA and surrounding areas. With decades of experience in the industry, our team has the expertise to get you up and running again through affordable air conditioner services: repair, installation and maintenance. It keeps your home comfortable as temperatures skyrocket. It prevents dirt, dust and other particles from affecting your indoor air quality. It improves your energy efficiency, which makes for a lower utility bill every month. We find that many customers seek out our air conditioner services for either a repair or replacement. Effective air conditioner repair means that your system will be running properly and efficiently once more. If needed, one of our trained specialists may suggest upgrading to a new unit. We can help you find affordable options for new air conditioner installation, as we have experience working with just about every make and model on the market. Once your unit is installed, or in good working order, we offer several maintenance programs and do-it-yourself tips to prevent future problems. Benefits of Using Robert B. Payne, Inc. 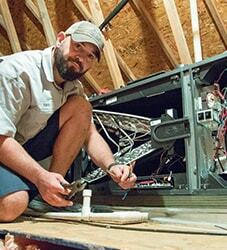 Many do-it-yourself (DIY) homeowners try to troubleshoot HVAC systems on their own. However, it’s important to keep in mind that professional air conditioner services like ours typically come with a warranty. If you take the do-it-yourself approach and make a mistake, it might void any sort of manufacturer’s warranty you may have. We are committed to doing work to our customers’ total satisfaction, which means the job will be done correctly the first time. As a family-owned business, we are providing air conditioner installation and repair services as though we were working on our own homes. Our staff has been accredited with an A+ rating with the Better Business Bureau, and we work with only the best HVAC products. Known as the heart of the unit, an AC compressor helps to push coolant into the coil to produce cool air that is moved into your home. When your compressor is broken, your AC may still run but blows hot or warm air. When it comes to AC compressor repair, you can trust the expert technicians at Robert B. Payne, Inc. We can get your AC unit back up and running quickly with minimal interruption to you. To prevent repairs from being needed, we can also provide you with efficient AC compressor maintenance along with your annual tune-up. This can help to avoid costly problems in the future and ensure your family stays comfortable year-round! There are few things worse than a humid and uncomfortable working environment. This makes people dread going into work each morning. If your commercial air conditioner is on the fritz, productivity will take a plunge. As a business owner, that’s exactly what you want to avoid. At Robert B. Payne, Inc., we understand this. Since we first opened our business, we’ve focused only on customer satisfaction. Whether you require professional installation, repairs, or maintenance, our technicians can handle the job. We hire only the very best in the field, performing thorough background checks, on-the-job training, and more. 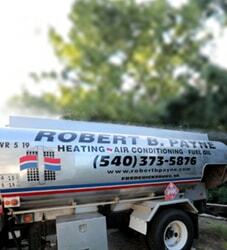 When your commercial air conditioning unit needs service, don’t hesitate to give Robert B. Payne, Inc. a call. When temperatures begin to rise, everyone relies more and more on their central air conditioners. With our sweltering summers, a working air conditioner system is a must. 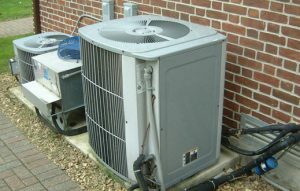 Over time, however, your central air conditioner could face a number of different issues. A faulty thermostat can cause all sorts of trouble, and dirty filters will quickly lead to reduced efficiency. A failed motor will shut everything down. Unfortunately, it’s impossible to completely avoid such issues. If you require repairs or annual maintenance, contact Robert B. Payne, Inc. Once we receive your call, we’ll dispatch a trained technician. We drive fully-loaded vehicles, so we always have the tools to handle any central air conditioning issue we come across. Whatever the issue, we’ll provide a solution. Just like you, we’d like your home to be comfortable. There’s nothing worse than a broken air conditioner during a heat wave. In fact, heat can be dangerous for more vulnerable people, including our elderly citizens. Heat stroke is a genuine possibility. If your air conditioner stops working, don’t hesitate to call Robert B. Payne, Inc. We’ll take your call in the middle of the night or during the weekend – we’re always available for emergency air conditioning service. When you are in need of air conditioner repair, maintenance or installation in the Fredericksburg area, you can trust our staff at Robert B. Payne, Inc., to get the job done right. To request an estimate or service, give us a call at (540) 373-5876 or fill out our online contact form.